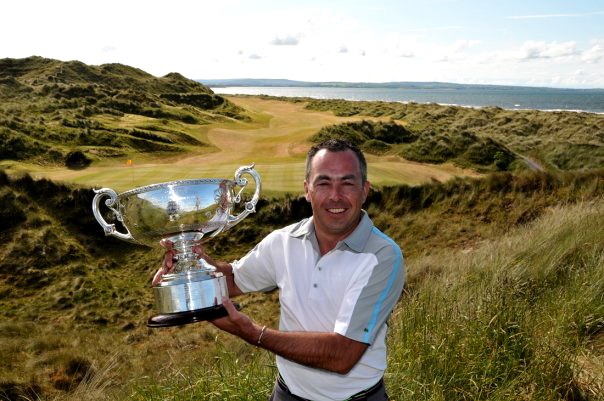 Limerick's Pat Murray clinched his first amateur major when he romped to an impressive 5 and 4 win over Newlands' Cian Curley to take the Irish Close title Enniscrone. Irish champion Pat MurrayThe Tipperary native, 37, has come close to grabbing a top amateur title several times over the past 15 years. In the South of Ireland championship alone, he has lost in the semi-finals on four occasions. The Close has not been his friend in recent years and after failing to qualifying in 2005 and then losing in the first round for the last three years, he finally got over the line at the Sligo links with a superb performance against Irish international Curley, who was a beaten semi-finalist in 2007 and 2008. Three up through the turn after winning birdies at the second, fifth and ninth, golf club manager Murray got the rub of the green at the 13th when Curley mistakenly played his opponent's ball to go four down. The match ended at the 14th when Curley conceded Murray’s putt for a winning birdie four. 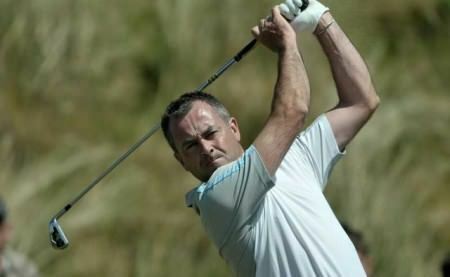 Curley had a one hole victory over Moyola Park's Paul O’Kane in the semi-finals. But there was to be no all Newlands final as Murray crushed his club mate Andrew Hogan 6 and 5 to reach the decider. Whitehead’s John-Ross Galbraith proved that while you might drive for show, you definitely putt for dough as he claimed the AIG Irish Amateur Close title and a windfall from the bookies at magnificent Seapoint. Limerick's Pat Murray is within touching distance of his first amateur major after cruising in the semi-finals of the Irish Amateur Close Championship at Enniscrone. Limerick’s Pat Murray will be trying to become the first player to retain the Golfsure sponsored Irish Amateur Close Championship since Rory McIlroy in 2006 when he tees it up at Royal Dublin next month. McIlroy became the youngest winner of the title when he triumphed at Westport as a 16-year old in 2005 and then retained his crown at The European Club the following season. Pat Murray (Limerick) plays from the rough at the 14th during his second round matchplay of the AIG sponsored Irish Amateur Close Championship at Connemara Golf Club. 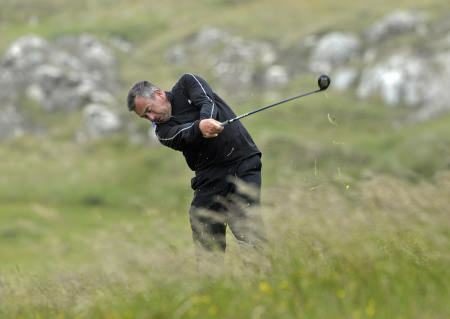 Picture by Pat CashmanOn a day when gale force winds almost got the better of players in the AIG sponsored Irish Close Championship in Connemara, former Close champion Pat Murray from Limerick marched on into the last sixteen unabated, seeing off Irish international Alex Gleeson and close friend Eoin Arthurs in the process, writes the GUI.